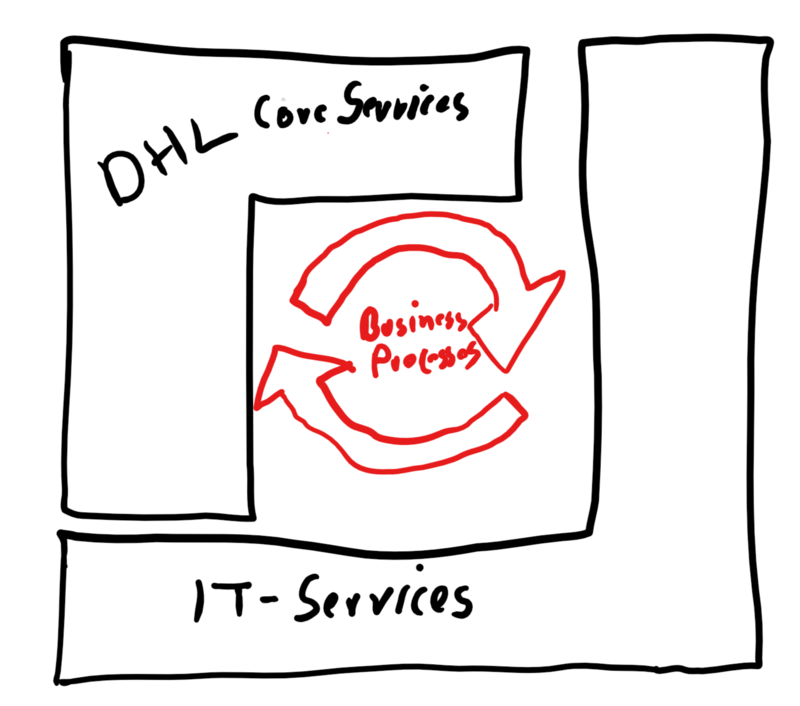 Within the last 5 years, I finally learned to understand what a IT-Service really is! This post should give you an idea, which kind of real value a IT-Service can provide! The best example for this case is the company DHL..
DHL is a global player in Logistics and they are specialized in delivering packages or mail. So, the typical customers of DHL are the senders and the receivers of packages or mail. So basically, a customer asks DHL to deliver a specific package from destination “A” to destination “B” (the receiver). Sounds easy so far… well for DHL this is a lot more detailed process and they must perform a lot of different tasks to fulfill this service, but from my perspective DHL is good in optimizing these internal processes and their main business enabler is their IT! Now you start to ask: why?! And this is the best example of a valuable IT-Service! Only with these IT-Services DHL was able to extend their business and save money at the same time, well, off course they at first hat to invest into their IT to establish these IT-Services… But now their Packages Delivering Services is established and well used by customers.. So, the IT-Service is the real business enabler in this case.